For a Successful, Happy and Prosperous Life ! These are Awesome Musical Composition to Uproot Your Emotional Pain & Negativity... And Just by Listening This Powerful Music You Will Flood Your life with Joy and Bliss. These Mantras are a Rare Combination of Ancient Mantras and Music Therapy From the Spiritual Land of India. Why its so Special ? Curated, Original and Rare Mantras. New Age Music Therapy used- Emotional Mastery through Music. Awesome Musical Composition to Uproot Emotional Pain & Negativity. Powerful Mantras which will make your life sunnier filled with energy and joy. Why Mantra Chanting will be the Most Important part of any one life? You have no idea how mantra chanting will bring Happiness in your life. These are Original Mantras Chanted as per Vedic Tradition. Some of the talented professionals include Music Director – Nivas Prasanna From the Tamil Film Industry, Bombay Krishnamurthy Music Director, Bharat Sundar Singer, Saindhavi Famous Singer from the Tamil Film Industry, a host of Vedic scholars to ensure authentic presentation. These Mantra Audio Cds have been a part of Money Workshop by Suresh Padmanabhan. Hence, they have been tried and tested with great success. The Most Powerful Vedic Mantras For Attracting Wealth and Prosperity. 1) Ganesha Mantra is all paying tribute to lord Ganesha. He is also called the Vignahartha which means remover of obstacles. Many a times we come across obstacles in Life and Listening to this Ganesha Stotram will help you find clarity within you and finding the right path to reach your destination. 2) Narasimha Mantra is a very rare mantra that has an amazing vibration which will give relief to people who have debts and are struggling with money at this present point of time. Listening to this mantra will help us get out of debt in the fastest way. This is also a great Mantra to recover Stuck Money. 3) Mahalakshmi Kavacham is a tribute paid to Goddess Mahalakshmi the creator of wealth and prosperity. Kavacham means shield and this mantra helps us from the negativities not entering our life and enhancing the prosperity thereby helping us attract wealth and prosperity very easily. 4) Bhagya Suktam is a mantra to create Good Luck and Success in life. 1) Porulai Virumbavar Mantra means attracting material into our life has been rarely captured so far. 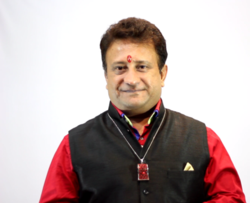 Listening to this Mantra will help us to Attract Money and Material. 2) Kanakdhara Stotram is one of popular stotram has been created by Legendary Adi Shankara. Each time you listen to kanakadara stotram the vibration will help you in attaining both the Material and Spiritual Wealth. 3) Shree Suktam is one of the Ultimate Ways to Connect to the Energy of Goddess Mahalakshmi. This mantra will help you dissolve energy blocks of Money and you will attract plenty and prosperity. 4) Kubera Mantra is worship of lord kubera who is known of Lord of Yakshas. Listening to Kubera Mantra blesses one with attracting new avenues and sources of income. 5) Navagraha Mantra was created by Vyasa rishi. The beauty of this stotram is that the vibrations of the nine planets which influence us are harmonized. Listening to the Navagra sotram will help you attract immense peace of mind, material benefits and spiritual powers. Awesome Musical Composition to Uproot Emotional Pain and Negativity. Powerful Music that will Flood your life with Joy and Bliss. Music to Remove Problems and Obstacles of Life, Uproot Anger, Remove Pain and Sorrow, Shift into Peace of Mind and Joy. Life is a music. it must be composed by ear, feeling, and instinct and not rules. Cleanses the mind and soothes the soul. The dust gathered of everyday life is washed by music. Music is like the moonlight on the dark path of our life. of your life. Throw out the world of words and welcome the world of music. Music is enough for a lifetime but a lifetime is not enough for music. Flood your life with music. This music compilation will give you wings to fly on the clouds of a clear sky. Sit back, Relax and get transported into a whole new world of positivity. Music to Create a Positive Energy, Destroy Fear, Install Bravery, Forgiveness Mantra and Relaxation Music. "A person does not hear sound only through the ears; he hears sound through every pore of his body." It permeates the entire being, and according to its particular influence either slows or quickens the rhythm of the blood circulation; it either wakens or soothes the nervous system. It arouses a person to greater passions or it calms him by bringing him peace. According to the sound and its influence a certain effect is produced. Sound becomes visible in the form of radiance. Powerful Mantras for Making Your Day Brighter, Sunnier, and filled with Positivity and Energy. "I got up on the right side of my bed", you would have said when the whole day would have gone super. And many a times "it is just a very bad day". "Nothing seems to work". Would you like to change this forever? This musical compilation is all about living each day full of pep and energy. We all have the tremendous power of choice. Each day when you get up in the morning you have two major choices, live that day in sorrow/low energy or choose to behappy high energy. Just commit each day to emotions of happiness, joy, bliss, contentment, etc. Lord Tirupati Balaji wakes up to "Suprabatham" an amazing mantra. We have created a melodious music with a mantra and on waking up if you can just hear this, your day would be great. The whole day’s important aspects like bathing, saying a prayer, meditation, having food, and going back to sleep in the night has been captured in each mantra. Let this music fill your being with boundless joy and positivity. Celebrate the greatest gift of God: Your Life. Includes Food Mantra and Sleep Music. Mantra, Prayers, Meditations to Attract Money and Wealth. Money Affirmations, Receiving Prayer and Money Chants on all Aspects of Money and Wealth Creation. This is an Awesome Musical Experience to transport you into a New World of Feelings. Music will never be the same to you. Feel the Shower of Money all over and the Blessings of the Divine Mantra lifting you into a Heavenly Experience. Mantras are the sound of the Divine Energy. They are sacred utterance, sound, a syllable, word or group of words in Sanskrit believed by practitioners to have divine powers. They are in the Energy or Vibrational realm and have powers to create a new physical reality. They create the visible from the invisible. ** Let the Mantra play loud at home or in the car. Just pay attention to the vibration. You need not understand the meanings. The Mantras here have been clearly explained in English. The purpose has been outlined so you have a great grasp on what the mantra is for. Then the mantras begin in their originality. You can also listen to the Mantras from the perspective of what you desire for example you have Debts, then listen to Narsimha Mantra more often. This will create a space in the mind for you to help to come out of Debt. You can listen once in the morning and once in the evening. If you have scarcity of time listen once. 21 days to 48 days in the cycle of change. Hence give it a fair chance to listen daily for 48 days. Here's You can change your Vibrations almost immediately just by listening the mantras. Option 1 : For Payment through Credit card and Paypal use Click here to buy magical mantras link in top or Enroll now link in bottom . Once you click the link - you will be redirected to main School of Solutions page. Enroll in the School and than make payment for Mantras Course. You has almost attracted it for yourself. P.S. : Avoid Bad Karma - Lots of time money, energy and efforts have gone in producing these divine mantras. Please don't forward to your contacts or share to other websites or online places. P.P.S : Enhance Good Karma : Please enjoy the mantras at home, at office and with your families. Recommend to your friends and contacts so that they could also give energy exchange to get the benefits. P.P.P.S : All the audio work is unconditionally protected by copywrite law. Don't distribute it any person/media or place.